On Sale Now! Free Shipping Included! 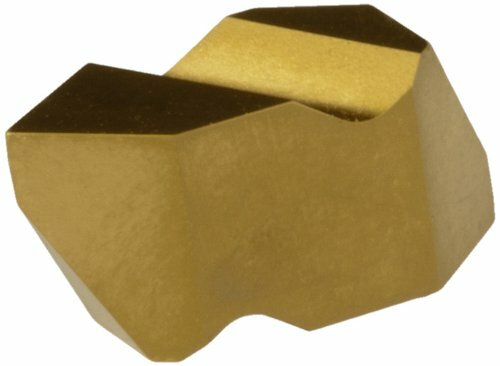 Save 5% on the Dorian Tool NT PVD-TiN Coated Carbide DorNotch Threading and Grooving Insert, Negative Rake Angle, Right Hand Cut, General Purpose Chip Breaker for Ferrous Metals, V Thread, 8-36 External/7-20 Internal TPI (Pack of 10) by Dorian Tool at Enria Industries. MPN: NT-2R-DVP656. Hurry! Limited time offer. Offer valid only while supplies last. A popular threading insert style for general use. General purpose. Provides satisfactory performance in most applications. 60 degree NT ''V'' thread. A popular threading insert style for general use. General purpose. Provides satisfactory performance in most applications. 60 degree NT "V" thread. Negative rake angle. Applicable for carbon steel and alloy steel. HHIP 2302-1625 Internal Indexable Threading Tool Holder and Insert Kit, 5/8"
HHIP 2302-1500 Internal Indexable Threading Tool Holder and Insert Kit, 1/2"